This is simple, but very high quality CXA1191S based FM radio receiver system. In this design we use Sony CXA1191S as FM tuner and TDA2003 as an audio amplifier. 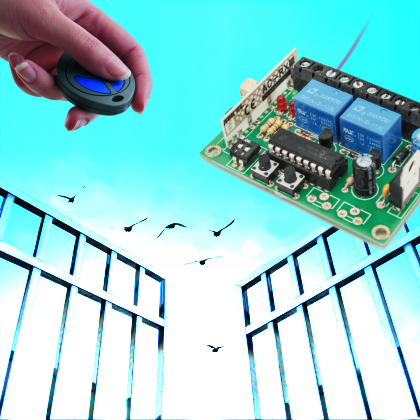 This receiver system is designed to work with 12V DC power source and it delivers approximately 6W audio output power (with 4Ω speaker load). Check out more details on his blog here. Project files are available at elect.wikispaces.com. 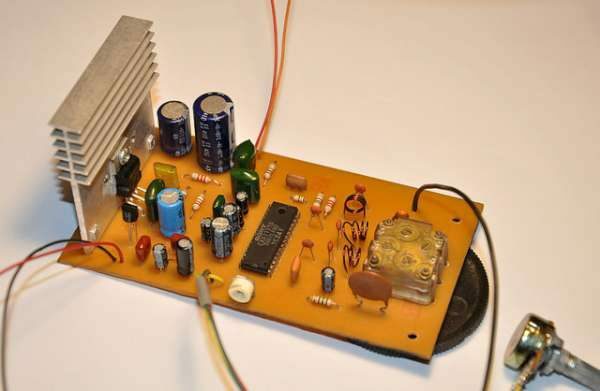 A 433,92 MHz Receiver that can be paired with a maximum of 10 Motorola TX each with relay outputs that can be set both in monostable or bistable mode. 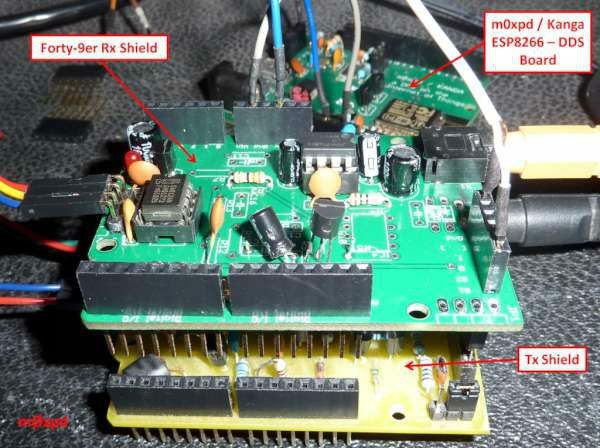 Although we have had high security encoding for several years, based for instance on rolling-codes, a lot of remote controls and especially those installed long time ago in houses and other places for opening gates, are based on fixed and relatively simple encoding like the MM53200 of former National Semiconductor and the Motorola MC14502x; the latter had two new elements at the time of its introduction, that were the high (for the times) number of combinations allowed (19,683) and the three-state encoding (each encoding input of the encoder and of the decoder would allow three logic levels and required special three-state dip-switches). While some might shy away from an external receiver, the small circuit could be handily integrated into future TVs. In an energy conscious world, modifications like these can quickly add up. 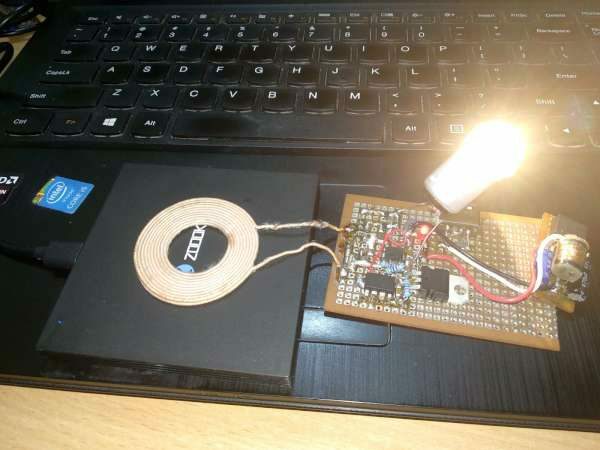 We featured a similar modification using a light-sensitive diode a few years ago that aimed to reduce the power consumption of a security system. Just be wary of burglars wielding flashlights. 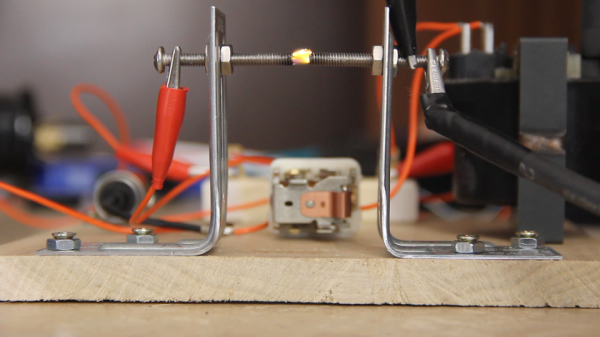 In my last post, I described how I made a spark-gap transmitter and receiver. For the transmitter, I used a car’s ignition coil to produce high voltage sparks, and for the receiver, I used a coherer to detect the transmissions. A coherer is a simple device – it consists of iron filings between two electrodes. Normally the filings have very high electrical resistance (tens of megaohms), but when the coherer detects electromagnetic waves, its resistance drops to about 10-20 ohms. More details at Ashish’s blog.